The initial accommodation of the 1820 Settlers left much to be desired: rows of tents in the sand dunes where Strand Street is now located, with Algoa Bay’s incessant wind whipping sand into all the exposed orifices. Some might even have been told shameless falsehoods about their future accommodation to lure them to the Cape. But once they stepped off their vessels, they would have to don the mantle of self-motivating, independent pioneers. The unspoken reality is that they would have to turn a pipe dream of a new life into reality. Perhaps they encountered dispiriting moments, but most would batten down the hatches and endure. But what the Colony lacked was proper temporary accommodation in the form of hotels especially for visiting colonial officials. With their keen enterprising spirit, many would swiftly erect buildings with more than a passing resemblance to hotels. As Port Elizabeth was the entrepot to the Eastern Cape hinterland and later to the Diamond Fields, it rapidly upgraded these Spartan dwelling into respectable establishments. 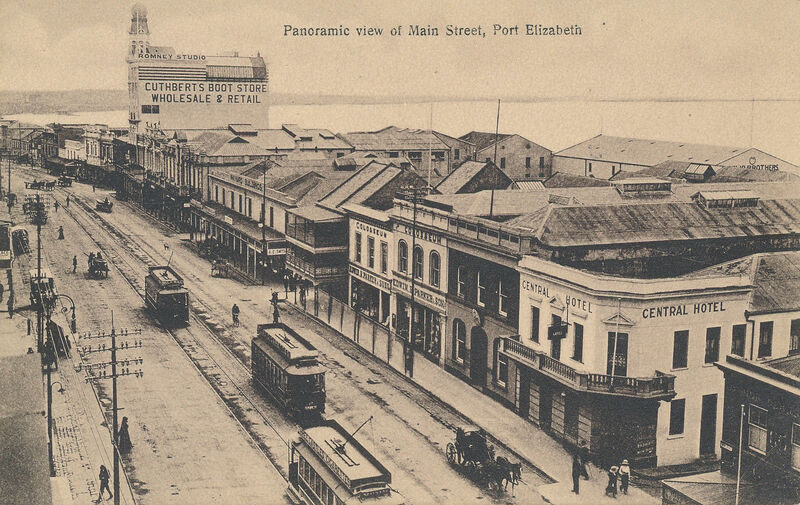 It is only thanks to historian Margaret Harradine and her excellent book entitled Port Elizabeth – A Social Chronicle that this blog is possible. Much of what is written below is merely a verbatim copy of her writing. The only advantage, apart from saving on the cost of the purchase of the book, is that all her comments on hotels have been accumulated in one blog. A grant of land in Main Street was made to Nicolaas Hitge to build an inn which might prove a decoration to the town. Hitge built the Red Lion Hotel on the site, formerly granted to Piet Retief (now Woolworths). He also ran a bakery and butchery on the premises. At the end of 1823 he gave notice of his intention to sell. The building was apparently taken over by the Government for a Custom House and Public Offices. Fairfax Moresby were granted in July of 1820 a large piece of land in the Baakens Valley. A house, to be named Markham House, was commenced on the erf, the settlers dug the foundations and Sir Rufane Donkin laid the corner stone. Moresby was posted to Mauritius and in 1823 both of Moresby’s properties were bought by Richard Hunt, who established a hotel in the Markham House. In 1828 Hunt was insolvent and the hotel passed to James Scorey in 1829, he ran the hotel which became known as Scorey’s Hotel. Scorey put the hotel up for sale in 1839. After belonging successively to William Whybrew, William O’Hara, Nathaniel Randall and others, the now Hope Hotel was sold by Joseph Jeffery and ceased in 1848. The hotel became tenements, finally being demolished well into the 20th century. A cottage nearly as old as the house, facing todays Military Road, became known as Markham House and was the site of the later Markham Hotel dating from 1884. John Centlivres Chase built a house in Market Square in 1837 that became the Phoenix Hotel started by Edwin Henry Salmond, and had the Jim Crow, Frontier and Elephant and Castle at various times. In September 1845 the Phoenix Hotel was transferred to John Bosworth. The Phoenix Hotel still stands today. The first canteens in South End were licensed around this time, in Walmer Road and South Union Street. One early one was the Woodman in Walmer Road, run by T.L. Holdstock. This became the Walmer Castle in 1877 and finally the Queens Hotel in 1884. Taps run by the women were the Lord Nelson Tavern (Margaret O’Loughlin, begun by Samuel Rigg in 1862), and the Edinburgh Castle (Annie McDonald). William Buckley had had the Prince of Wales Hotel in Strand Street and in November 1878 opened its namesake in Walmer Road. This popular hotel was re-built in 1929. From about 1880 there was the Royal Hotel in South Beach Terrace. The Walmer Road Hotel was a canteen in about 1879 under T. Jordan and may be the same as that run by William Considine in the 1860s. In About 1898 it was taken over by W.H. Berry, who bought it in 1903 (it was usually called Berry’s Hotel). After his early death his widow ran it until Ohlsson’s Breweries bought it in about 1915 and re-named it the Collins Hotel. On the opposite corner of South Union Street was the Tyrone Hotel, begun in 1883 by Johnston McWilliams. In North Union Street were the Breakwater Tap (Baker family) and the Falcon Hotel (from 1866, re-built 1887). Mrs. Margaret McMullen was granted a licence for a new hotel, the Fair View Hotel, on the Cape Road. William and Eliza Ingram (Eliza was a descendant of the Billson Settlers) took it over as the Cape Road Hotel, Klip Vley. The farm Hartebeestefonein, on which the hotel was situated, belonged to the Parkin family and in 1875 the licence for the hotel was applied for by Alfred Parkin. From March 1882 Francis Dawson ran what was now listed as Hunters Retreat and in September 1886 the licence was granted to Alexander Humphries, who owned the hotel for many years. John Garth Lanigan’s occupation on the 15th of December 1862 was given as hotel keeper in Market Square. In 1872 he was the owner of the Masonic Hotel, the address was originally Queen Street, because of the first lay-out of the area, but it later became the end of Main Street, on the Griffin Street corner. In July 1893 the Masonic was transferred to George Walter Fugard, who had married Agnes Lucy Lanigan in 1890. J.A. Dreyer advertised that he had opened a hotel on the Hill in Algoa House, Western Road. A separate club room with a fine billiard table was built behind the house, facing Pearson Street. The hotel was taken over by Louisa Janion in 1868 and in 1879 by H. Hinwood. In 1865 the Alfred Club Room was the first building on the Hill to be lit with gas. Officially named the Algoa House Hotel, as was usual at the time, it was often referred to by the name of the licensee. Thomas Kinna opened the Red Lion in Evatt Street in March of 1863. This was the second public house of the name and was on lot 6 of the Hartman Estate with a house on lot 5, the buildings still standing. 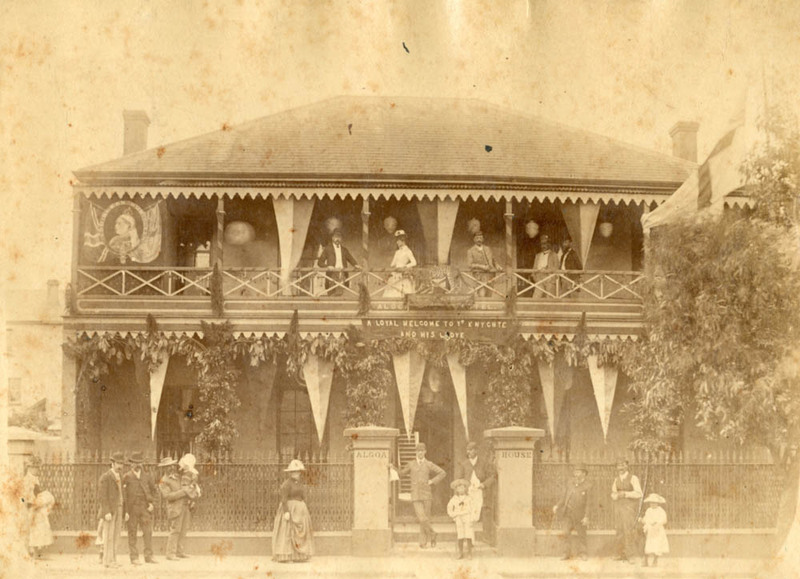 Patrick Mullen started the Farmers Home Hotel in Parliament Street in 1864 and obtained a liquor licence in 1866. The buildings were sold in 1865 by the owner and Mullen bought them. After his death his wife Martha became the licensee of the hotel. The Carl Altensted’s Railway Hotel had its beginnings in a tap licence granted to Altensted’s future wife, Margaret van der Eykel, in 1865. For a time he concentrated on his bakery and the hotel was run by Heinrich Harris as the Tramway Hotel, reverting to its old name in December 1886. Harris took over the British Lion Hotel in Princess Street. 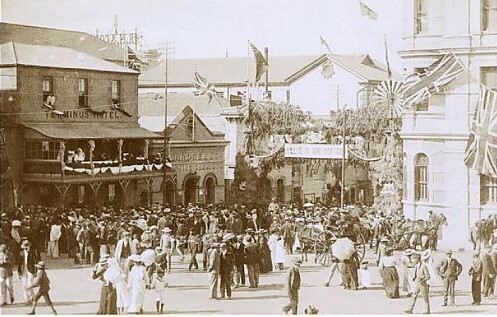 Patrick Ryan came from Grahamstown to Port Elizabeth and in 1867 took over Dinwoodie’s Hotel formerly the Union Hotel. (no information available as to when it was built). Shortly before his death he opened a dining room for the working class where customers were treated civilly and punctually attended to. For sixpence there was bread and cheese or a sandwich, with a glass of ale. William Phillips started the Terminus Hotel in Jetty Street later the Windsor Hotel. The official opening of King Edwards Mansions, the property of the Palace Buildings Ltd. Designed by Jones and Mc Williams, it became a hotel in 1911 under R.S. 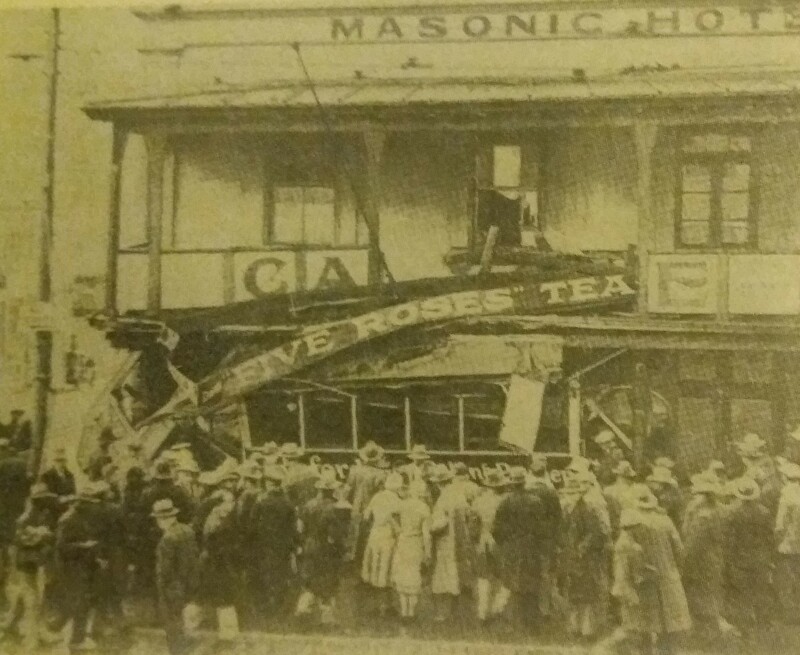 Lambson, and received a liquor licence in 1920 when Lambson licence for the George Hotel was transferred. It became simply The Edward in 1961. This hotel still is still in existence today. On 26 January 1904 Morgan Brewery bought the Thistle Hotel (no other information available on Thistle Hotel) in Queen Street and Jones and McWilliams designed a new hotel on the site, the Castle Hotel, opened on 19 December 1906. Port Elizabeth in Bygone Days written by J.J. Redgrave printed 1947, gives a descriptive account of the owners and hotels in the early years. The plot on which Captain Moresby’s house stood (in Military Road, at the back of the present E.P. Herald office) had been given to him in recognition of the notable service he and his crew had rendered in landing the settlers. It was the first house to be built in Port Elizabeth, as distinguished from the early military establishment. Probably owing to the fact that Captain Moresby was not a permanent resident at the Cape, the historic house soon changed hands and became a comfortable Inn, as wearied travellers attest in their early records. It became known as Markham House in memory of Lady Donkin who was the daughter of George Markham, Dean of York, and later was called the Hope Hotel and for many years prior to its demolition was renamed Scorey’s Hotel, the open space in front of it being known to the residents as Scorey’s Place. On the site of the Central Hotel in Main Street stood formerly the old Goose & Gridiron canteen, so well-known to the old residents, with its swaying oil lamp and saw-dusted floor. It was there its jovial owner, John Grady, amidst clouds of strong tobacco smoke and musty smell of liquor, would stand for hours behind his counter regaling his many gossiping clients with all the morbid news in and about town. Down Sea Lane, the genial Harry Norris ran the Vine Hotel, better known to the older residents as His Lordships Larder. Further along Main Street was the George Hotel which was run more as a boarding-house. 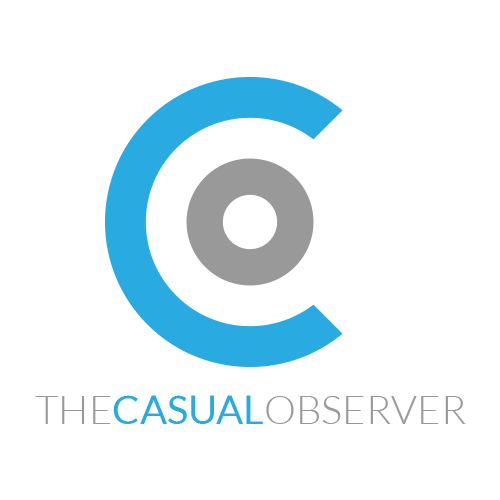 Its proprietor was in the habit of dumping in the side streets all the sundry articles he purchased at public sales, including old ships anchors and rusty chains. Then came the old Masonic, on the corner of Russell Road, with slight alterations, owned formerly by Mr. Steinman, who also ran the Commercial Hotel on the corner of Russel Road and Queen Street, where now stands a large furniture shop. The Algoa Hotel near the Trinder Vlei was owned by the jovial and warm-hearted John Dreyer and became the nucleus of the P.E. Club, the budding members using the billiard and ante-rooms of the hotel for that purpose. 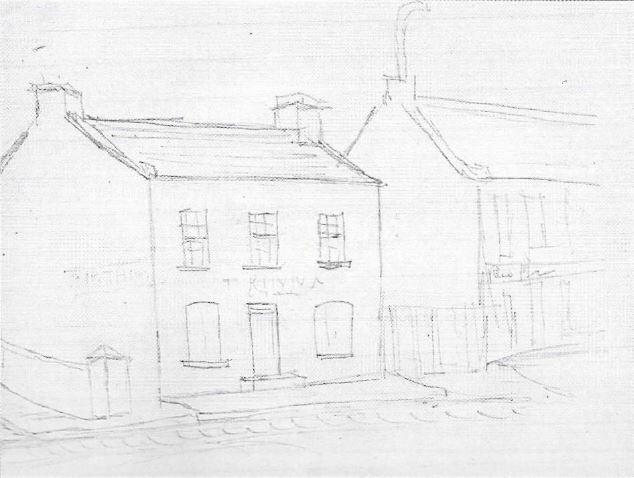 The old dwelling where Commissary William Joe Smith resided with his mother on the corner of Pearson Street and Belmont Terrace, as well as the small houses on the corner of Whites Road, have all disappeared to make room for the Kind Edward Hotel. Any info on the Grosvenor Hotel in North End, owned by John Sherwood Williams?